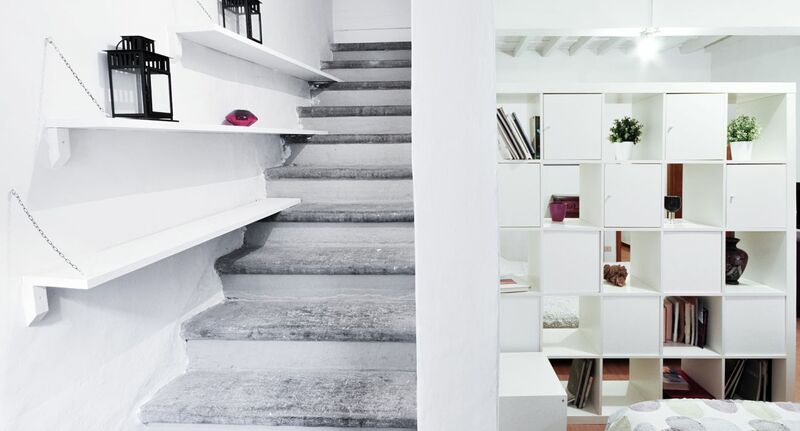 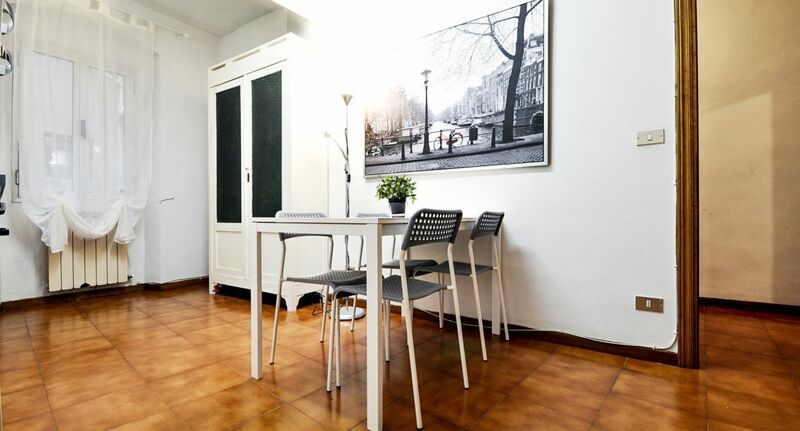 Entirely renovated, this beautiful apartment is on the 2nd floor of a historic building, in the heart of Florence’s most central and desirable neighborhood. 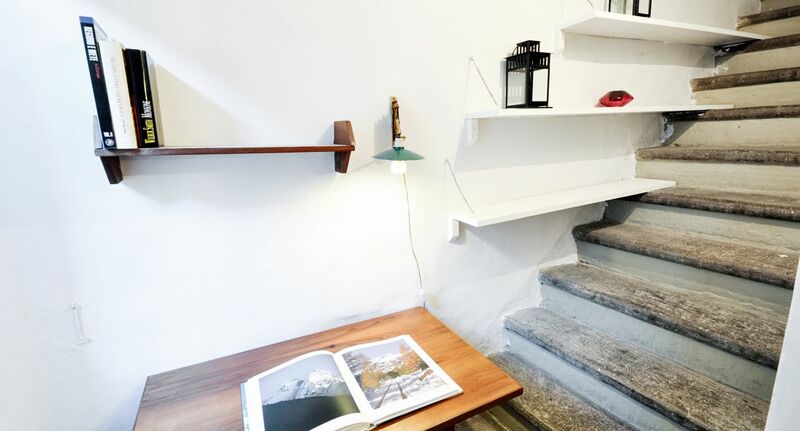 It features elegant hardwood floors while maintaining the distinctive character of old Tuscan homes, with original elements like traditional wooden-beam ceiling and a centuries-old stone staircase which has been quaintly incorporated into the home’s décor. 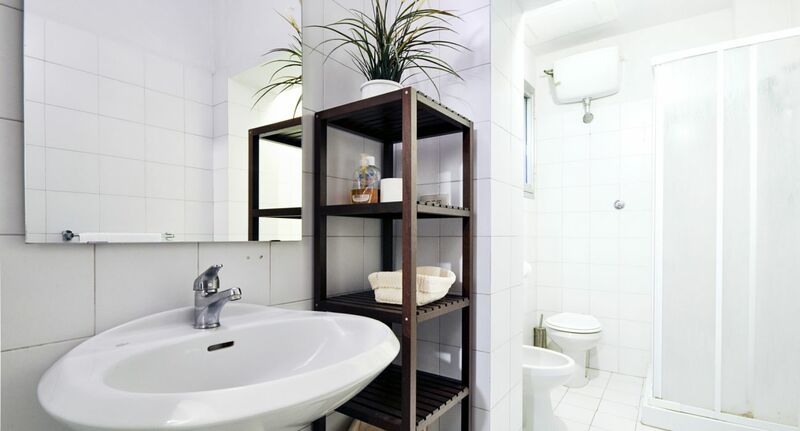 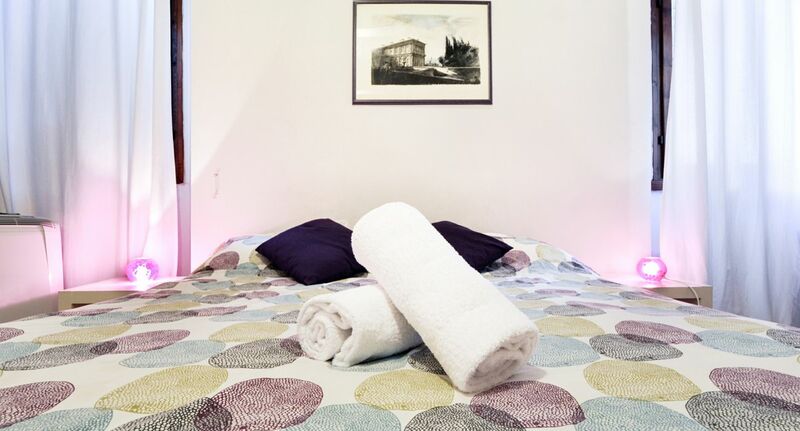 All essential amenities are provided, including free WiFi, air conditioning, flat-screen TV, washing machine, fully-equipped kitchen with fridge, freezer, pots, pans, dishes, silverware and utensils, hair dryer and plenty of wardrobe/storage space. 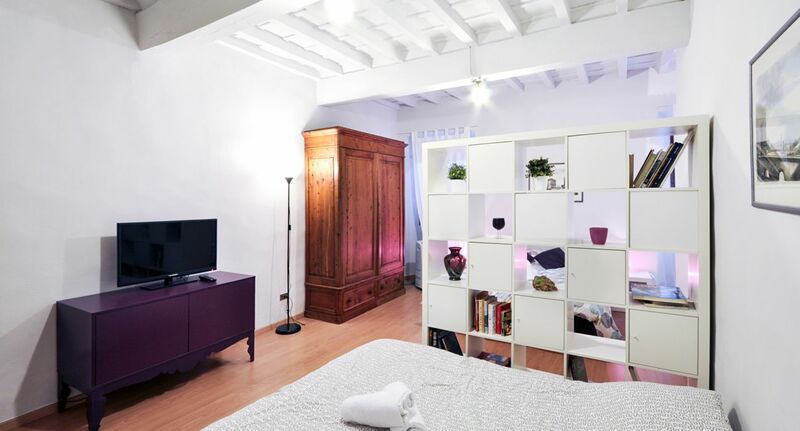 a pleasant living room with a large, flat-screen TV and a queen-size sofa bed. 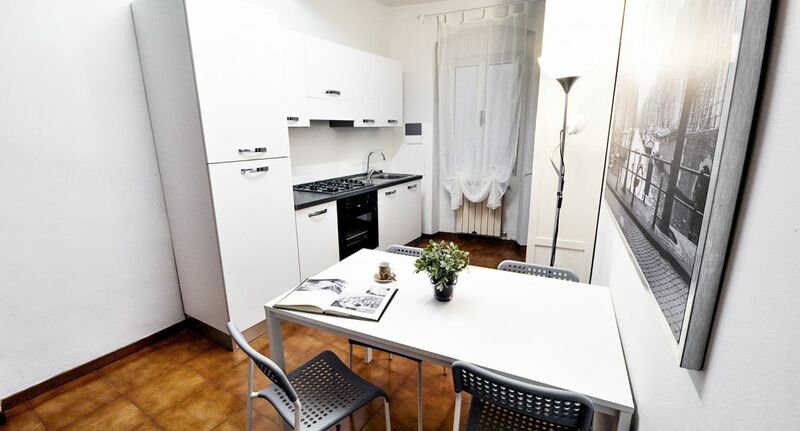 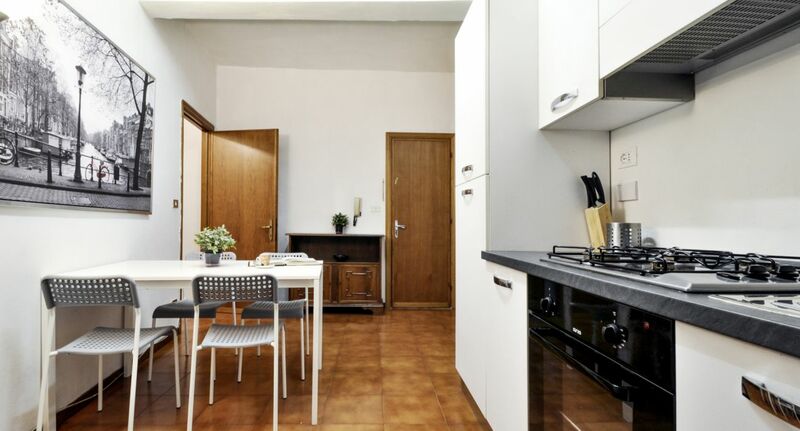 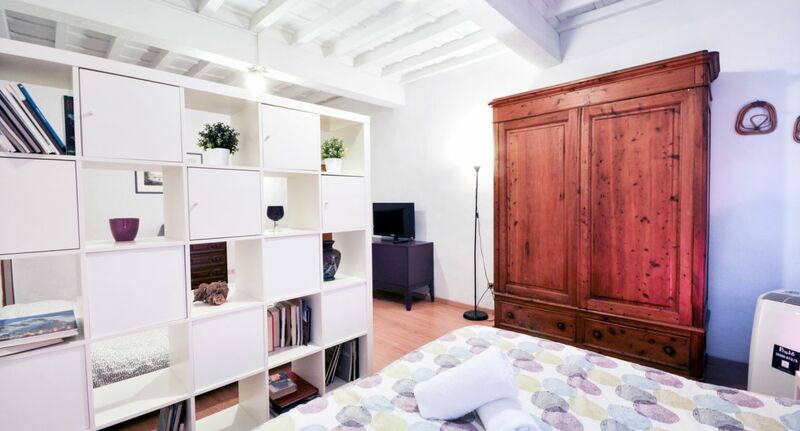 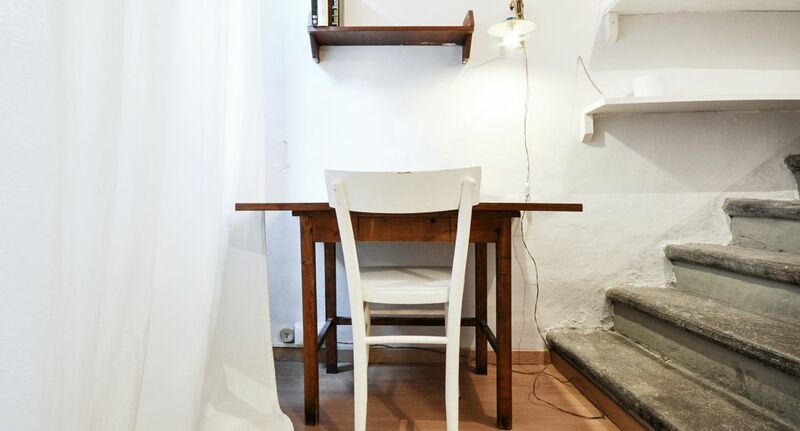 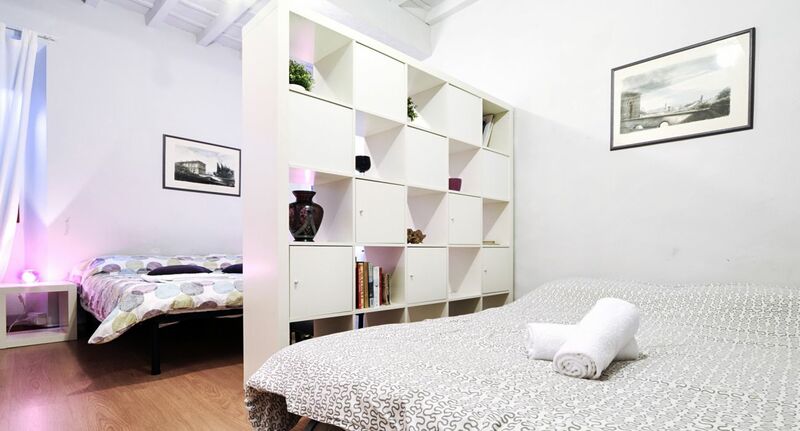 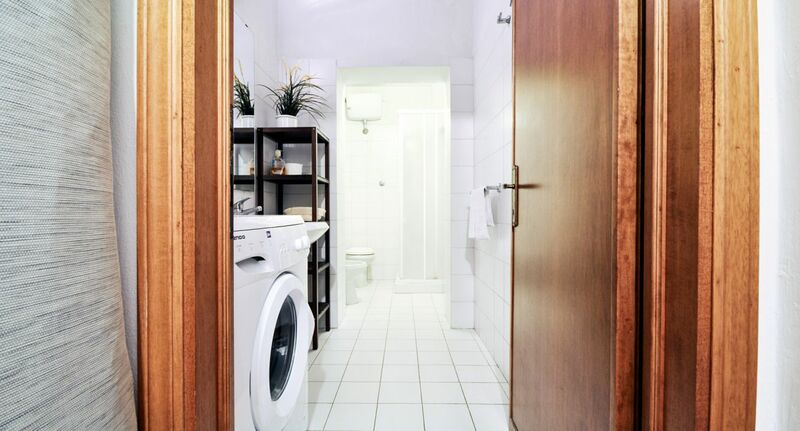 Comfortably sleeping up to 4 people, this apartment offers an amazing value for travelers who want a comfortable and charming accommodation set right in the middle Florence’s wonders: a place from which they can explore one of the world’s most beautiful cities entirely on foot! 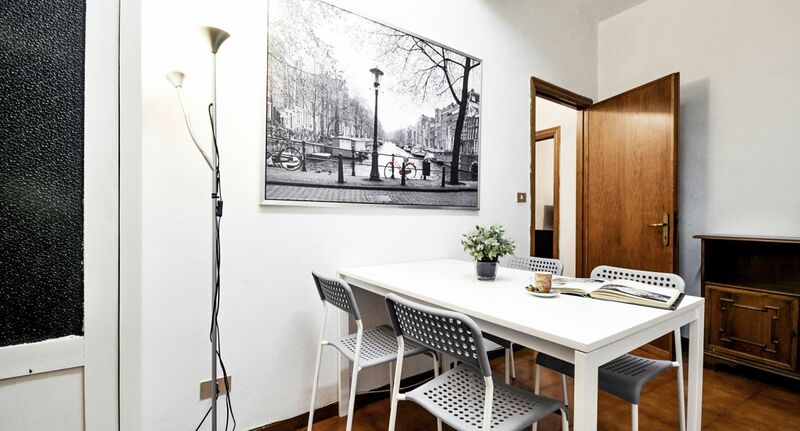 This apartment is right around the corner from Piazza della Signoria: the social, cultural and political heart of the city. 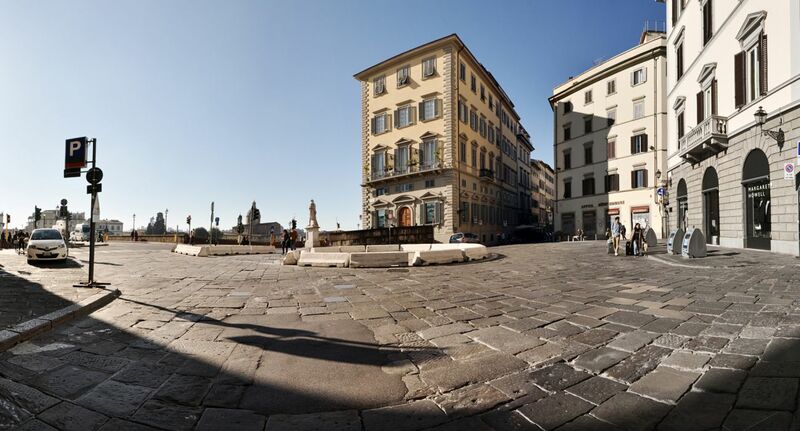 Regarded as one of the most beautiful squares in the world, the piazza is lined with exclusive cafes, priceless statues and magnificent Renaissance palaces. 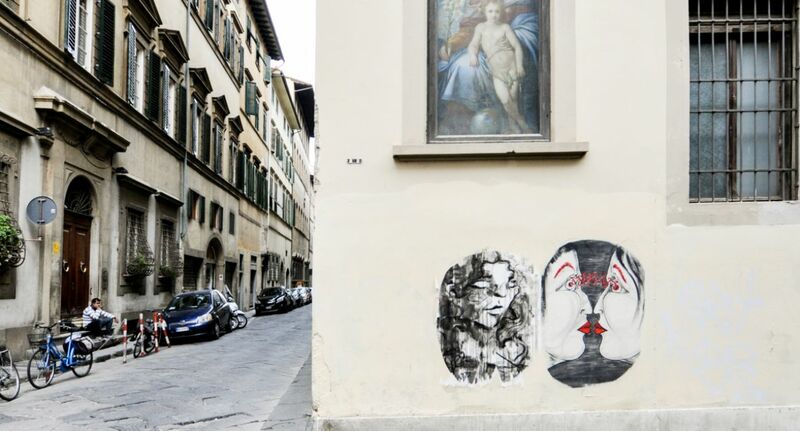 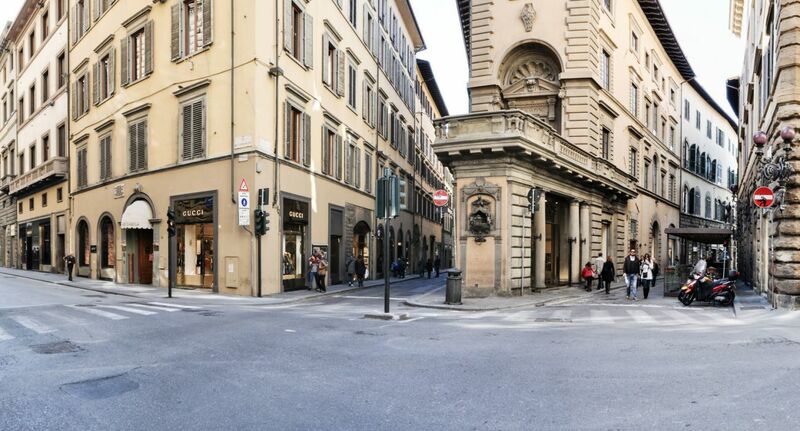 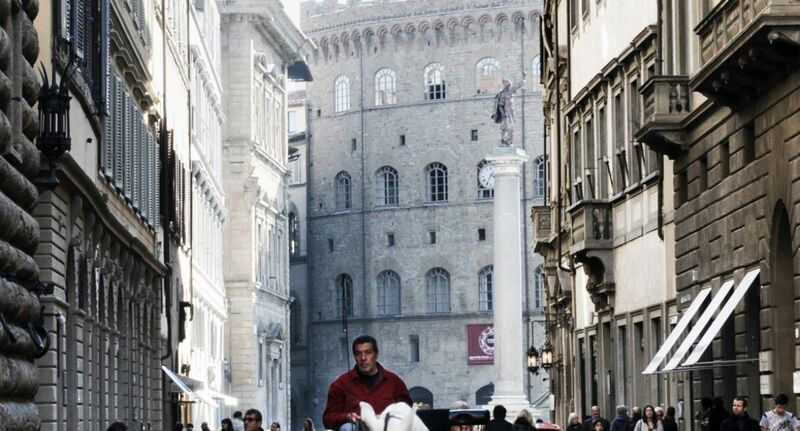 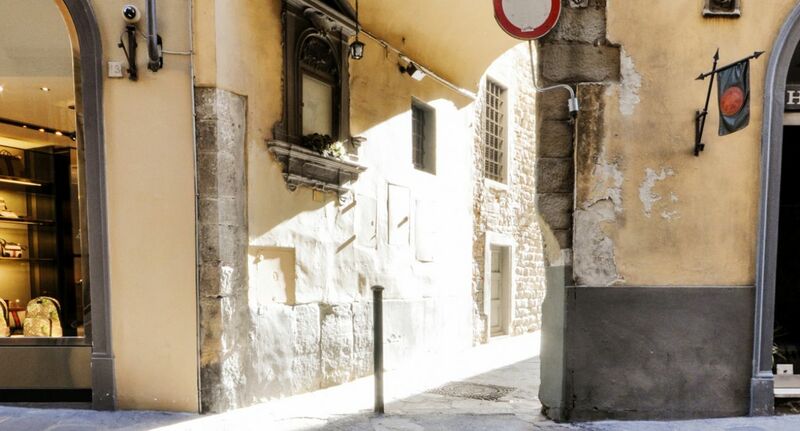 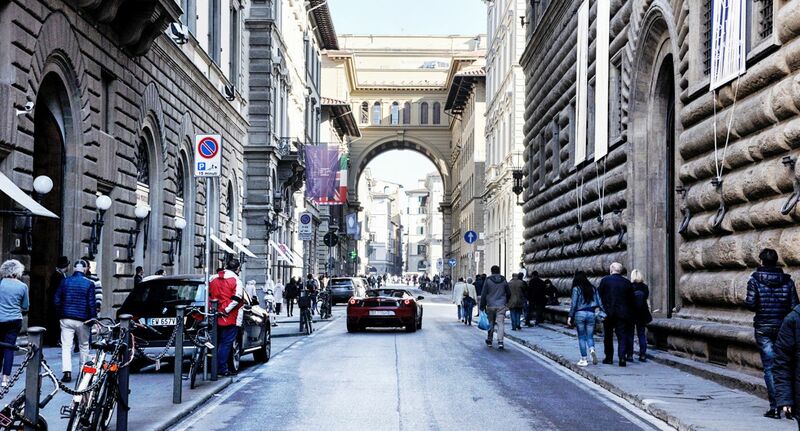 It is adjacent to the world-famous Uffizi gallery and Ponte Vecchio bridge, as well as to Via Calzaiuoli, the elegant shopping street which connects it to Piazza della Repubblica and the Duomo. 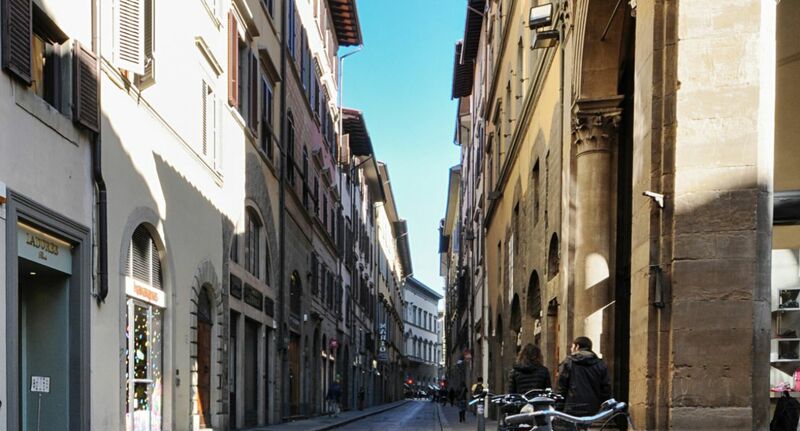 The vibrant Santa Croce area is also less than a 5-minute walk, and every other attraction in Florence is easily reachable on foot. 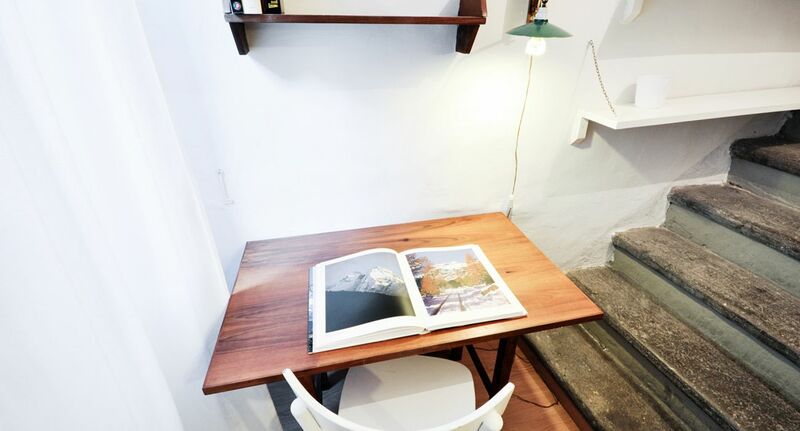 Simply put, this is an unbeatable location!